- Bold and beautiful! 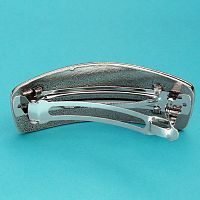 The sensual appeal of genuine leather is perfectly complemented by the soft gleam of polished pewter. 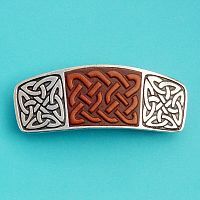 Barrette measures 3 1/2" across, and is made of lead-free pewter. The high quality French clip will never pull or tangle your hair. 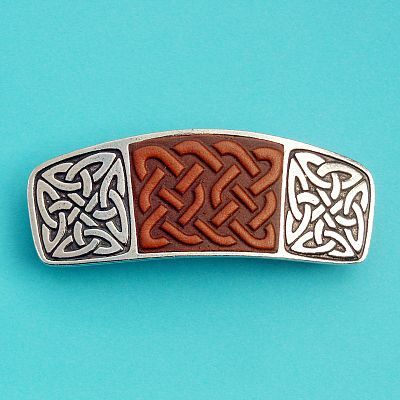 Do you have any other questions about our Leather Celtic Barrette?